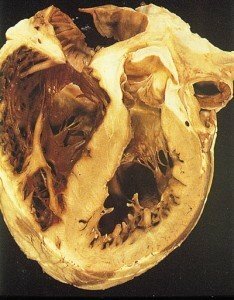 Peripartum Cardiomyopathy (PPCM) is a type of dilated cardiomyopathy which is characterized by deterioration in the cardiac function presenting usually sometime between the final month of pregnancy and five months after delivery. Women who have this heart disorder do not generally have any underlying heart problems or any specific reasons for developing heart diseases. The heart failure resulting from PPCM can be temporary and curable or can advance to a life-threatening stage. It is associated with a considerable mortality rate. It is a rare health problem occurring only in 1 out of every 1300-4000 live births in the United States. PPCM can occur in all countries and races, but is more prevalent among certain people such as South African Bantus and Haiti. Its exact etiology is still not known. Factors like the use of some tocolytic agents, developing toxemia of pregnancy (preeclampsia) and PIH (pregnancy-induced hypertension) may trigger or worsen heart failure. However, these are not counted among the risk factors for PPCM. Physicians perform a physical examination to detect any signs of cardiomyopathy development. A stethoscope is used for observing any signs of fluid buildup in the lungs. 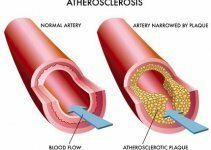 Identifying any abnormal sounds in the heart and lungs such as a crackling in the lungs and a murmuring sound of systolic ejection can also indicate the possibility of the disorder. Physicians also perform tests for detecting signs of swelling in the liver of patients and monitoring their blood pressure carefully to see whether it increases when the sufferer stands up. Other symptoms in the diagnostic criteria of PPCM include the absence of any prior heart condition and left ventricular dysfunction shown on echocardiogram reports. B-B and ACE-I medicines improve the blood circulation and reverses the dysfunction of the immune system responsible for PPCM. If the patient does not respond well to the ACE-I, it is replaced by ARB or angiotensin receptor blockers. Women in last stage of their pregnancy and breastfeeding mother are prescribed Hydralazine with nitrates instead of ACE-I. Women with this type of Cardiomyopathy should be provided with special anesthetic care at the time of labor and delivery. The delivery is performed at a hospital where anesthesiologists will be present to address any complication that may arise while giving birth or after delivering the child. Heart transplantation may be necessary if the congestive heart failure refuses to go away with any of the above treatments. Less than 35% ejection fraction (EF) indicates anticoagulation which considerably increases the risk of left ventricular blood clots (thrombi). A LVAD (left ventricular assist device) implantation may be necessary for managing the disorder. The prognosis of this disease varies from one patient to another. Some patients may recover and remain stable for a long time while in others, the disease may deteriorate over time. In extremely severe cases, the patient’s condition worsens very rapidly and heart transplant may be the only treatment option for them. The survival rate of the patients can be improved by early diagnosis and timely treatment. Studies show the recurrence rate of PPCM to be minimal once completely cured, as long as there are no subsequent pregnancies. Combined (estrogen/progestin) oral contraceptives are contraindicated in PPCM as they can lead to various complications. Following a well-balanced and nutritious diet, along with regular exercise, helps to improve cardiovascular fitness. Avoiding alcohol and cigarettes also helps in preventing this cardiac condition. Women who have already suffered from heart failure related to pregnancy should avoid getting pregnant in the future. Many women with this form of Cardiomyopathy recover completely and have a normal life expectancy. Prompt treatment with implantable defibrillators has considerably decreased the sudden death risk in the patients. Still, the condition is associated with a death rate as high as 25% to 50%. The following images show how PPCM affects the heart. Peripartum Cardiomyopathy is a serious and potentially fatal disorder that requires early diagnosis. Delayed detection and treatment may make it impossible to save the patient’s life. However, the affected women are allowed to lead a long and normal life with timely and suitable treatment. A number of support groups have been established who provide treatment guidelines to help PPCM patients fight the condition.